So, the idea behind this is that you need to partition the drive and format it correctly for each operating system. Time Machine requires the volume to be formatted in HFS+, the format Mac OS uses, while Windows uses NTFS. Technically you could format the Windows part in FAT32, but that only supports files up to 4GB in size - and it's unlikely your backup will be that small. What I did was to divide my drive into 3 parts. I have a 2TB WD MyBook external hard drive, and I set up a 900GB HFS+ partition, a 900GB NTFS partition, and then 200GB FAT32 (for a Win/Mac go-between). You will first need an empty drive. When you partition the drive, it will reformat it completely and erase everything, so you should make sure anything on the drive is backed up and/or ok to remove. You can't just use the empty space on an existing drive - though you can temporarily remove the things you need and put them back afterwards. On the Mac, open Disk Utility (Applications > Utilities) and select the drive you want to use from the left pane. Make sure to select the actual drive (top level) and not the volume name. Click the Partition tab in the right hand pane. In the Partition Layout dropdown, choose '3 partitions' (or 2, if you don't want the go-between drive like I have). In the layout overview below, drag each partition's bottom border to resize it to how you want it. Click each partition and enter a name (if you want. You don't have to - it does make things easier to identify later on though. You can also rename the partitions whenever you like, so don't feel this needs to be done now), and adjust the size if you so wish. For the Format dropdown, you'll need 'Mac OS Extended (Journaled)' for the Time Machine partition (you can use the case-sensitive version if you like, I don't though), and 'MS-DOS (FAT)' for the others. You can also leave the Windows partition unformatted ('Free Space') if you prefer. Click the Options button underneath the layout overview, and select 'Master Boot Record' (if it isn't already selected). If you don't do this, Windows will not be able to read your partitions, so make sure you don't skip this step! When you're happy with everything, click Apply. It may take a little while for the drive to be formatted, but after that, you're done on the Mac side of things. Plug your drive into your PC. If you left the Windows partition unformatted, Windows might pop up at this stage and ask if you want to format it. If you didn't (or it doesn't pop up), right-click My Computer and choose Manage, then go to Disk Management in the left pane. Find your drive in the top pane on the right, then right-click the Windows partition in the layout overview in the bottom pane and tell Windows to format it - you'll want to choose NTFS as the file system. When you plug the drive into your Mac, you'll get all 3 partitions showing up as separate drives. 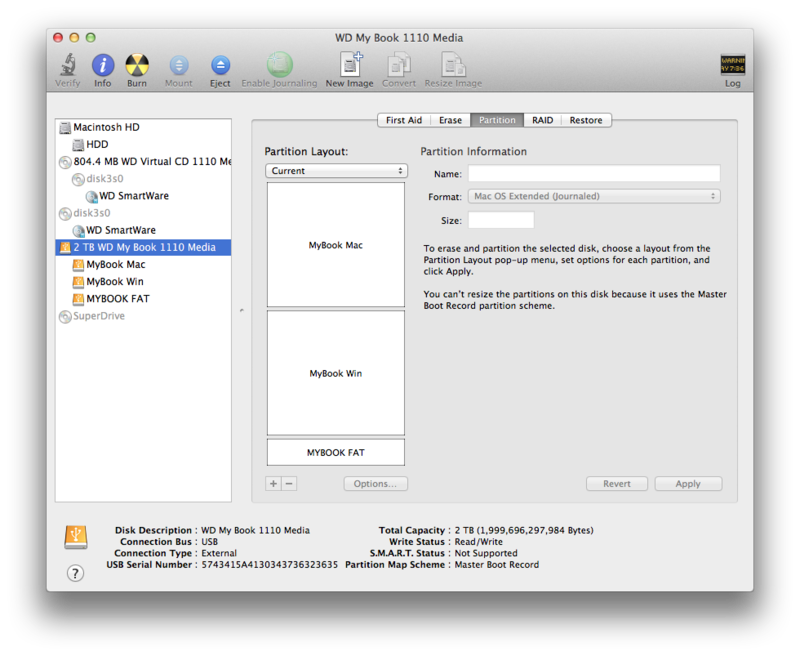 Macs will read an NTFS partition, but can't write to them; if you want to have something available for both Mac and PC to write to, you should use the FAT32 partition (if you added one). If you don't mind your Mac not being able to write, then by all means use the NTFS partition. Windows won't show the Mac partition as it can't read it, but the other two partitions will show. Please note: this post is now over 6 years old.